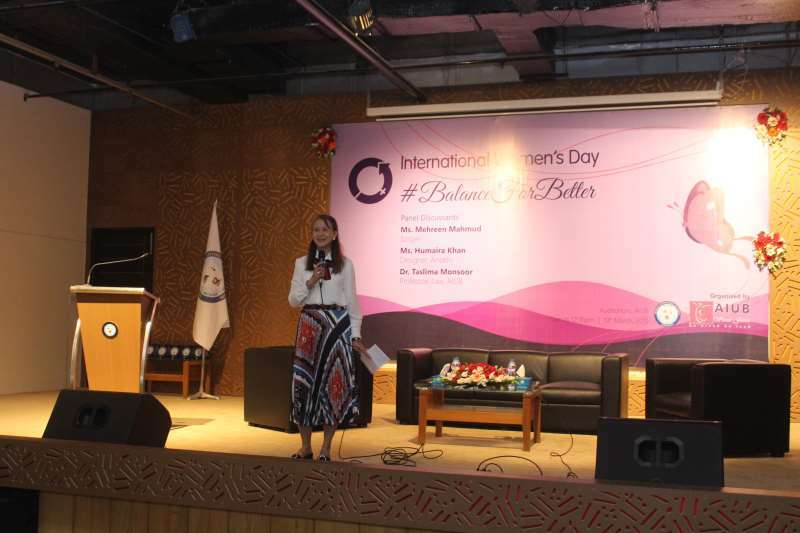 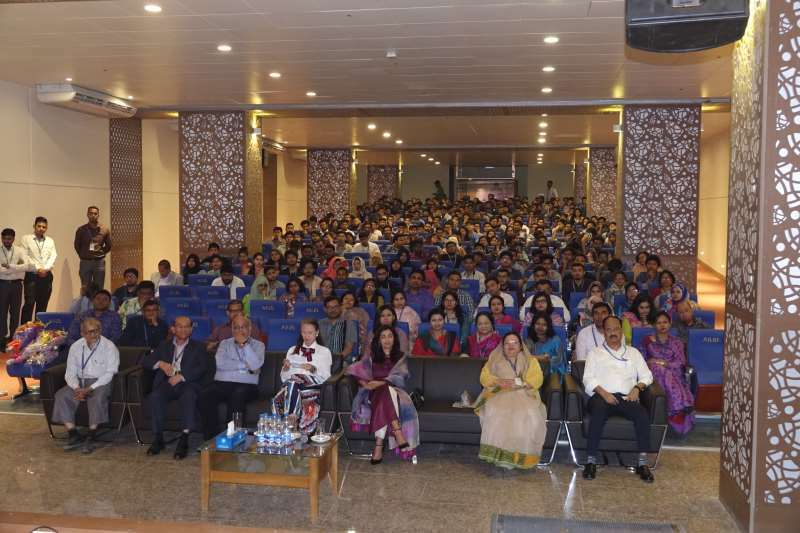 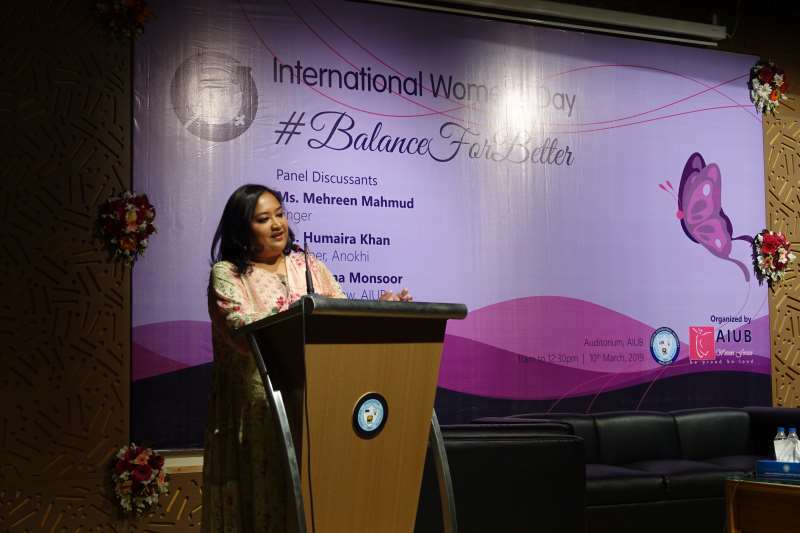 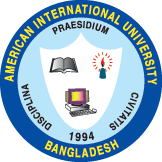 American International University- Bangladesh (AIUB) celebrated International Women’s Day (IWD) through an event organized by AIUB Women Forum on the 10th of March 2019, in Auditorium at 11:00 am, The program was inaugurated by the university’s honorable Vice Chancellor Dr. Carmen Z. Lamagna and enriched with the presence of the university’s honorable chairman and member of the board of trustees, Ms. Nadia Anwar. 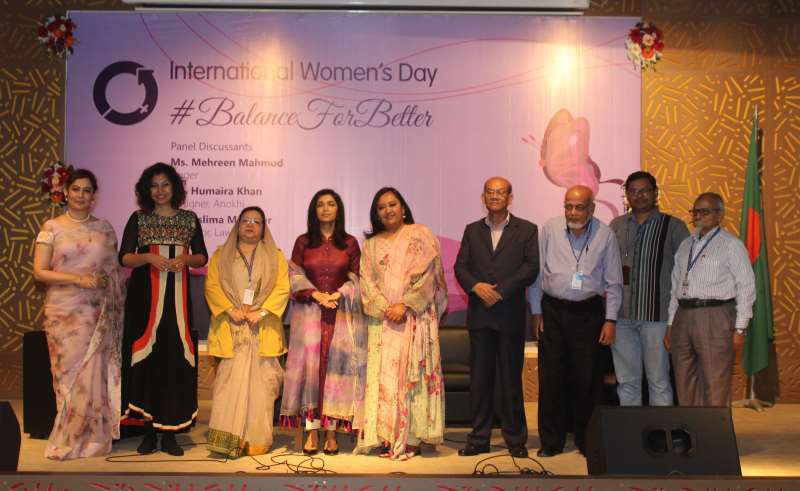 A panel discussion was the focal point of the celebration in participation with the distinguished guests including media personality, singer of Bangladesh Ms. Mehreen Mahmud, renowned fashion designer Ms. Humaira Khan and by Prof. Dr. Taslima Monsoor, Advisor, Department of Law, Faculty of Arts and Social Sciences, AIUB. 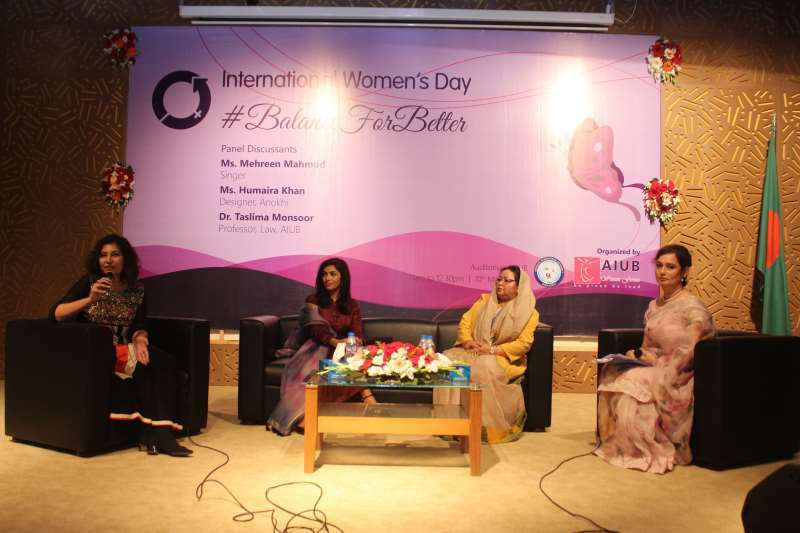 The panel discussion was moderated by Ms. Farheen Hassan, Director, BBA program, FBA, AIUB. 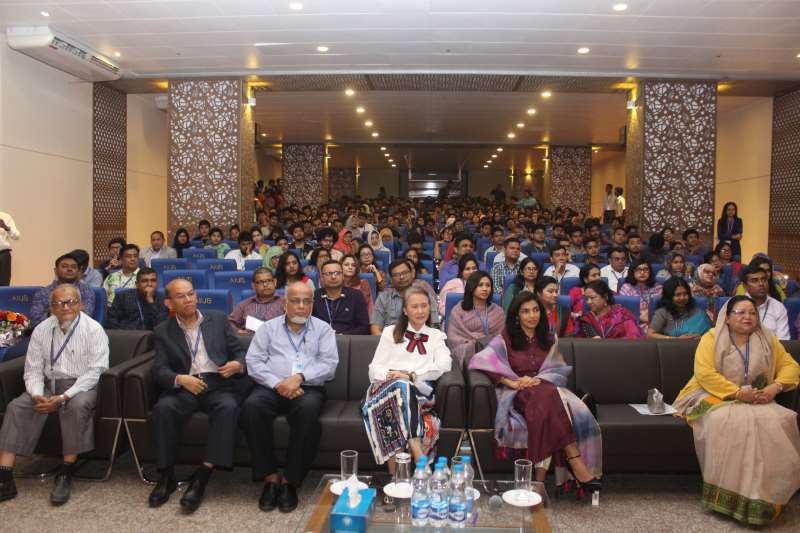 The audience of the program included the distinguished Deans, associate deans, professors faculty members and prospective students from the different faculties of the university. 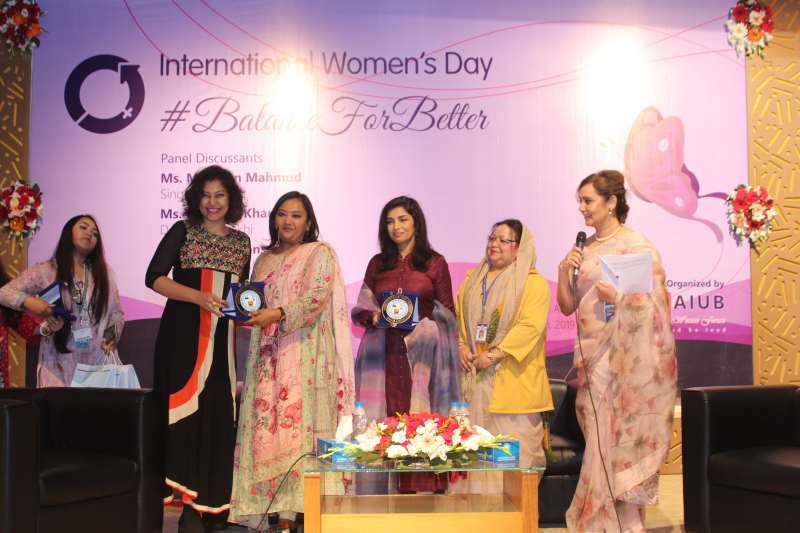 The program turned out to be insightful as the discussion helped spark reinforcement to the symbiotic balance between both genders and achieved the status of success to this year’s theme: #BalanceforBetter.